Alto Cedro, Marcane and Cueto. By Hiran R. Ricardo / radioangulo.Saturday, 12 March 2011 08:22. 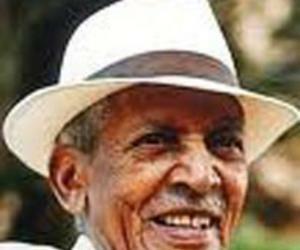 The Chan Chan is one of the most popular Cuban songs by unforgettable Francisco Repilado, "Compay Segundo," whose refrain “de Alto Cedro, voy para Marcane, luego a Cueto voy para Mayari” has toured across the world. In the lyrics of that piece is mentioned the municipality of Cueto, in the province of Holguin, but that I invite you to go over. The towns of Alto Cedro and Marcane are located in the municipality of Cueto, and the latter is not only the largest inhabited town there but its capital as well. Cueto's mian square. That municipality of Cueto is marked by flat grounds, not too high mountains (only partially found to the east), it the second smallest jurisdiction in the province of Holguin. It is barely populated by about 35 thousand people. Agriculture is its main economic branch, mostly sugar cane. As for Alto Cedro, that is rather a little place, is a town bordering the southeastern province of Santiago de Cuba, but it is marked by an important railway junction that joins the eastern jurisdictions of Santiago de Cuba and Guantanamo with the rest of the country. In addition, a railway line goes to the coastal town of Antilla, one of the most important ports in Holguin province. For many years, one could hear freight or passenger trains coming and going. For its part the town of Marcane boasts of the Loynaz Hechavarria sugar factory whose production ranks among the top quality in the province of Holguin. Some people believe that the secret lies on the microclimate remaining in the areas of Alto Cedro and Marcane, where the morning fog after a “cold” night marks the difference, maybe being not far from the Nipe plateau might be a positive influence in sugar cane good yield. In the municipality of Cueto the town of Biran gave history the names of Fidel and Raul Castro who were born there. Therefore today many visitors go to the museum opened at the Castro-Ruz house. Biran lives on agriculture and cattle raising - the largest area in Cueto. But the municipality of Cueto has in the village of Barajagua a very peculiar place because it was the seat of an aboriginal community whose name came after it. But Barajagua has a unique baseball stadium in Cuba, because it is located right in the meeting place of three municipalities, Urbano Noris, Baguano and of course Cueto. That is why when they play baseball, may be a batsman swings a throw that might fall in the outfield that is in Baguano or in Urbano Noris. The town of Cueto boasts of its squared blocks, its well asphalted streets in its downtown, its policlinic endowed with state of the art equipment to assist patients. Among its most remarkable buildings are the Taino movie-theater, its public library, the Antonia Riera elementary school, its shops, and the railway station whose lines cross the town, among others. Cueto is located in a privilege place for being the forced road to the towns of Moa, Sagua de Tanamo, Frank Pais, Mayari, and others located to the east of the province when heading to the city of Holguin or other places in the country. Cueto is also the home of good sportspeople so much in the province and the whole country as well. Such is the case of Kenya Carcaces, a top digger of the Cuban women volleyball team. But before Marta Sanchez did so in the country’s squad, and Alexander Cruzata, a former player of Cuba soccer team, taekwondo runnerup in Sidney Olympics Urbia de los Milagros, top Cuban team basketball player Yamile Martinez, among others. Today Cueto shows its other pretty face in spite of the time lived. It is refurbishing for the pride of its children, who take all across the world its love and memoirs. And maybe sitting on one of the benches of its parks they neither forget those that one day rested after leaving behind Alto Cedro and Marcane, to arrive at Cueto, and later continue their way to Mayari.